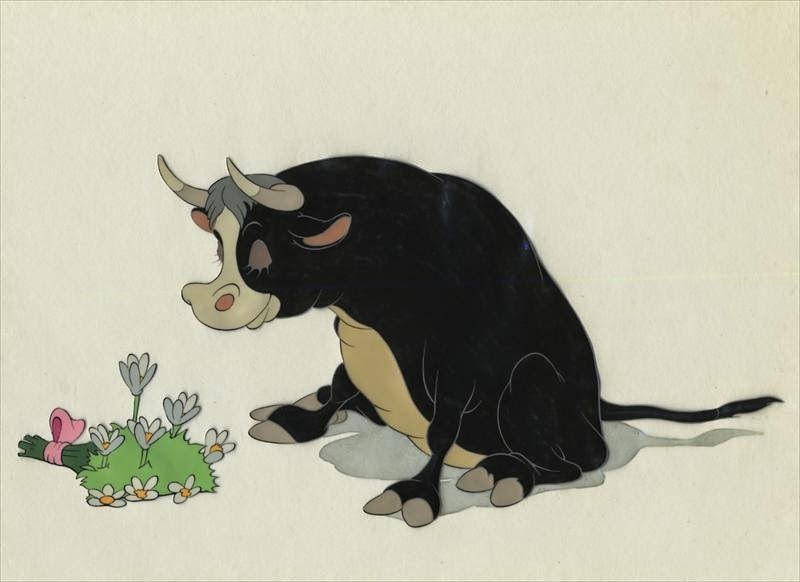 Disney’s short film Ferdinand The Bull from 1938 is one of of a few gems produced at the studio at the hight of its golden age of animation. 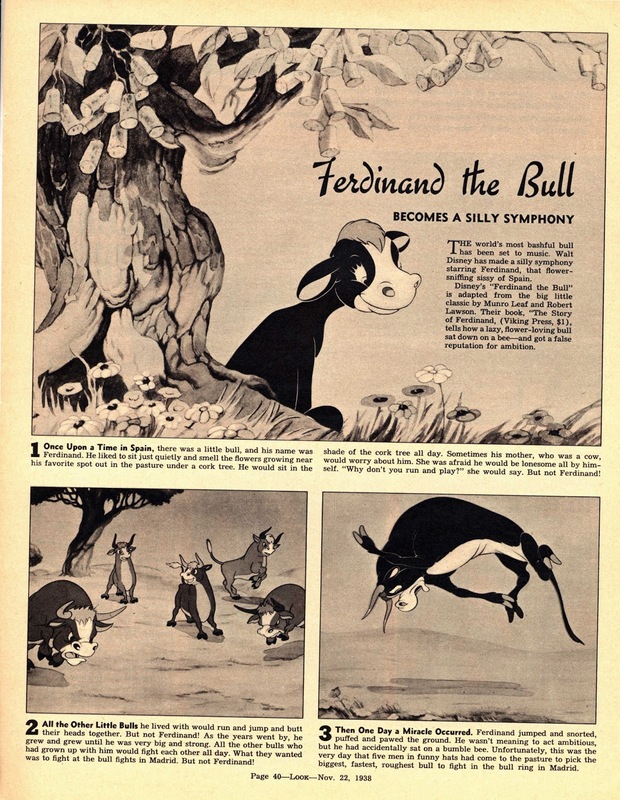 It is based on the book by Munro Leaf which was published just a couple of years prior to the film’s release. 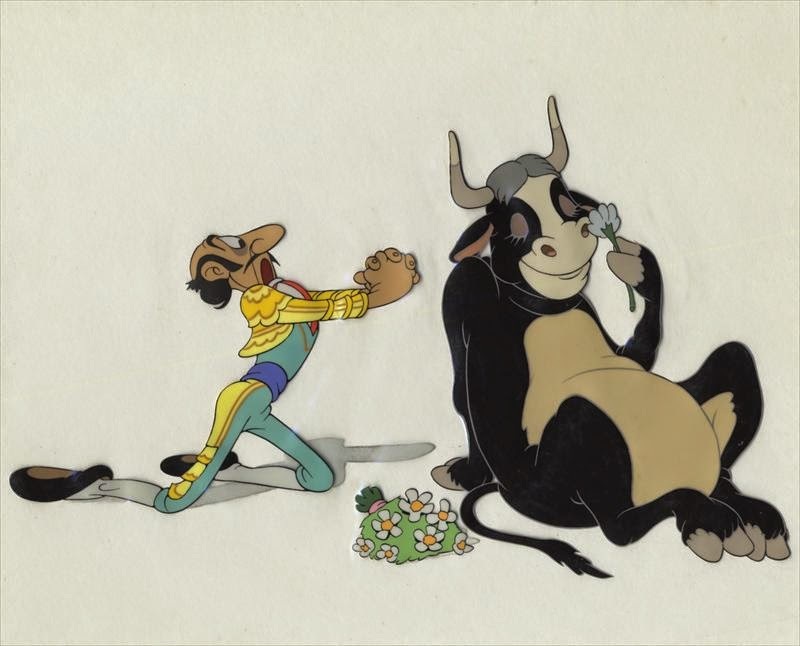 Milt Kahl voiced one line of young Ferdinand, when he was a little bull talking to his mother, who was voiced by Walt Disney. Milt animated both characters. 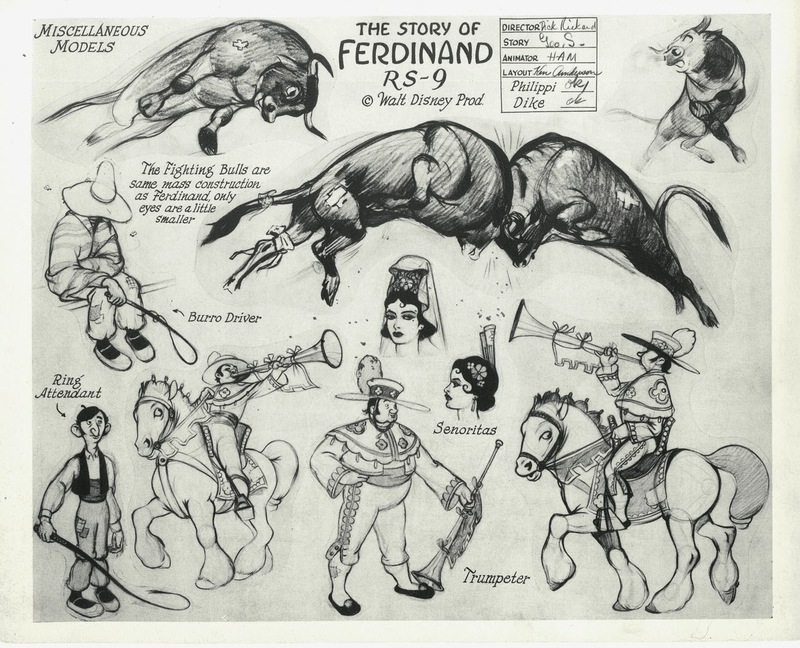 Walt recognized himself being caricatured as the film’e matador, but animator Ward Kimball denied this. Ken Anderson used vibrant colors for the film’s backgrounds in an attempt to interpret Spain’s strong sun light with reflecting light bouncing back on to the landscape. Walt was out of town, he had not seen or approved this new colorful art direction. Ken was warned by staffers that Walt would not like these backgrounds at all, since he usually just asked for pale washes behind his film’s characters. 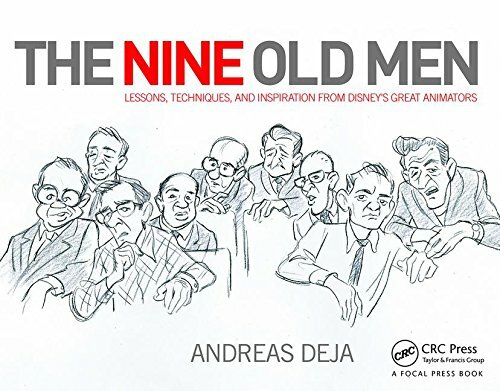 It turns out Walt was very enthusiastic about Ken’s visuals, silencing critics instantly. 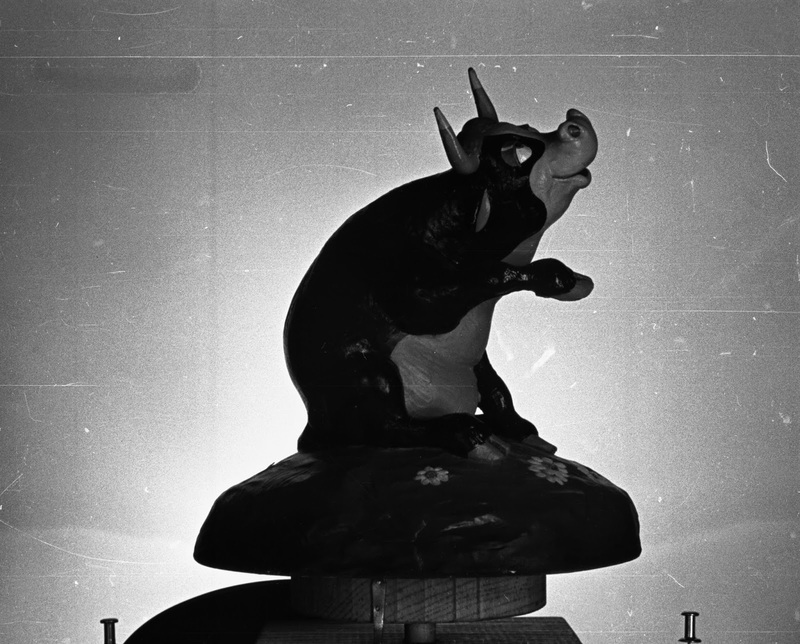 The photo above shows a beautiful maquette from Joe Grant’s model department. 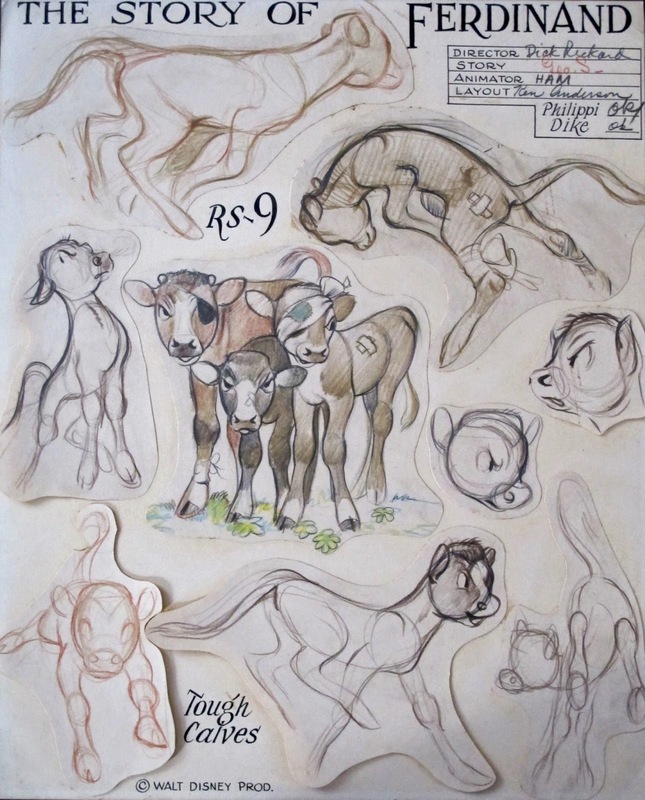 These model sheets demonstrate how artists tried to gain control over the bull’s anatomy. 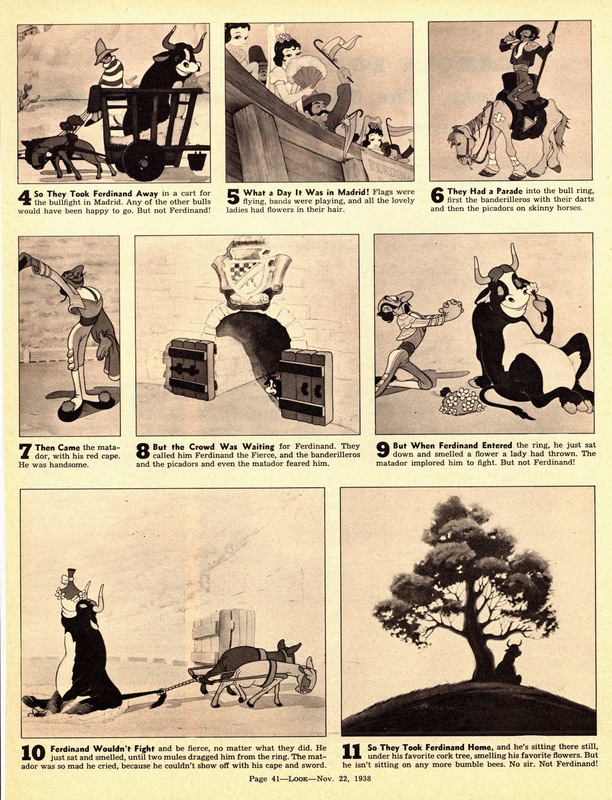 An article from Look Magazine tells the film’s story.